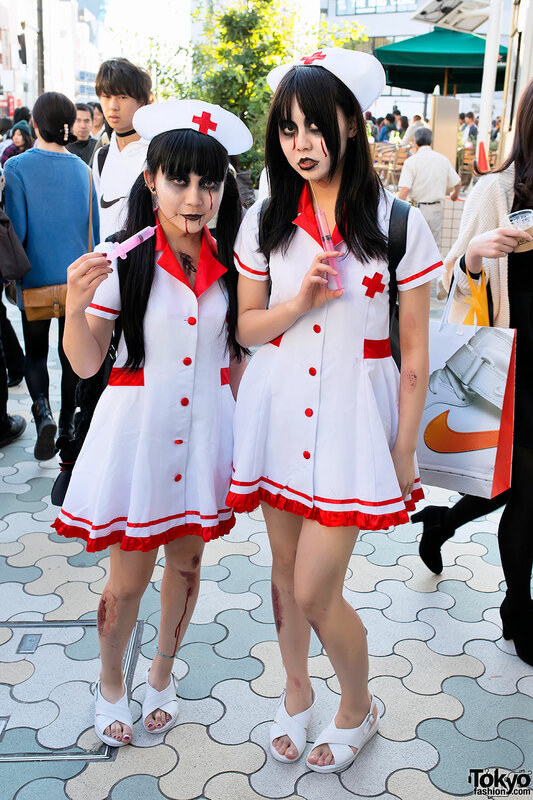 Over 100 pictures of cool Japanese Halloween costumes at the VAMPS Halloween Party 2013 in Tokyo. 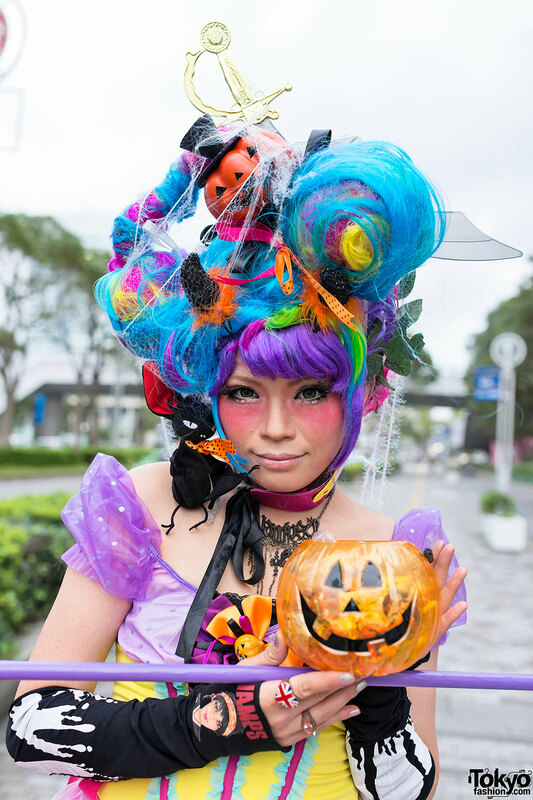 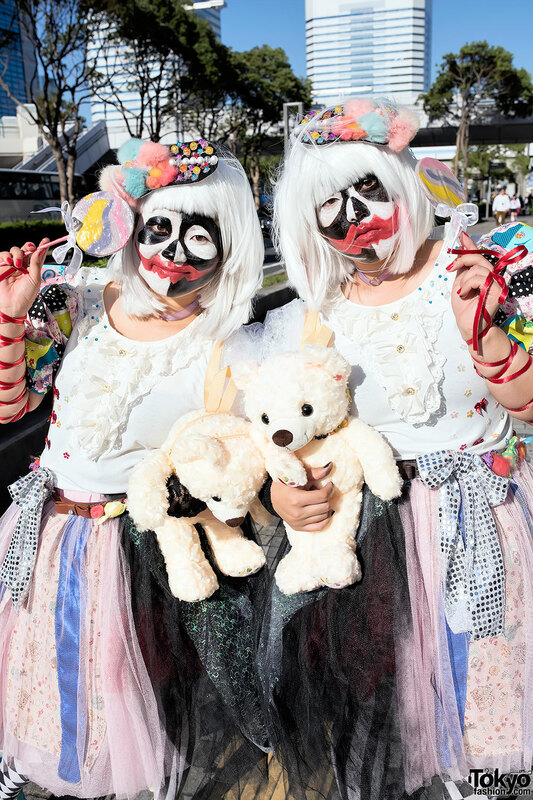 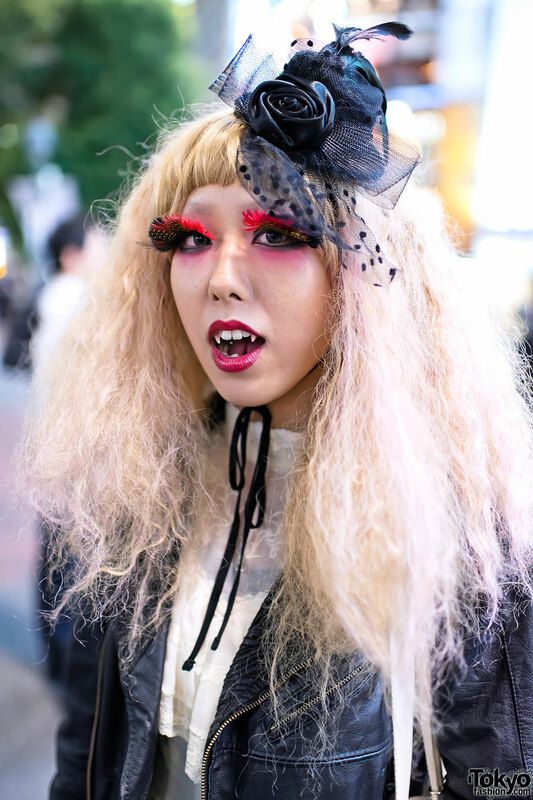 75+ pictures from the AvantGarde Harajuku Halloween & 1st Anniversary party in Tokyo – featuring lots of well known Tokyo street fashion personalities in fun costumes! 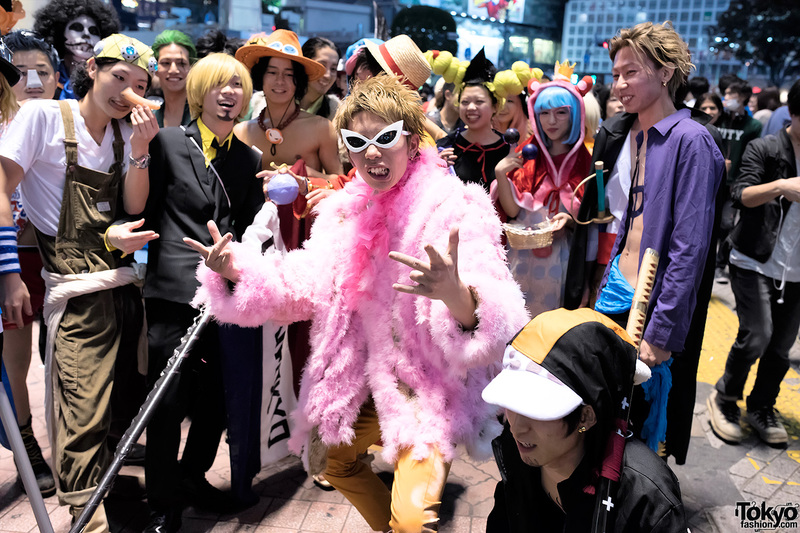 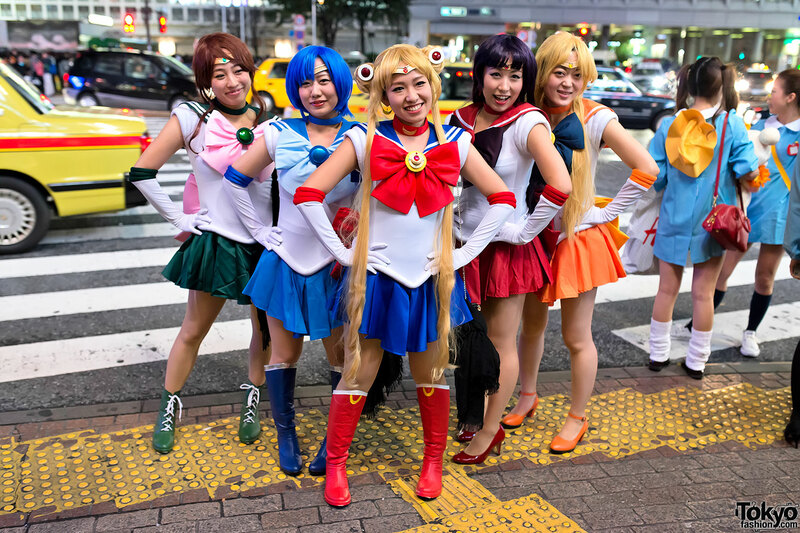 Fun pictures of people in Halloween costumes on the street in Shibuya after dark. 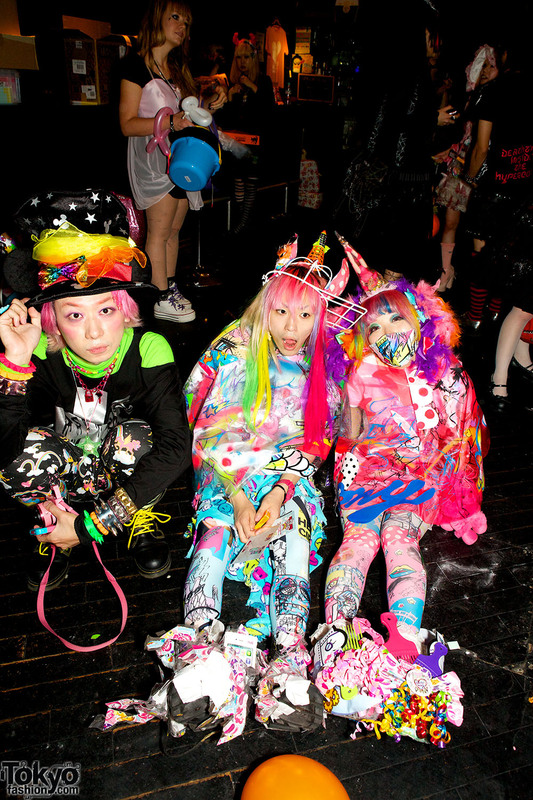 Harajuku Girls x Sulley & Mike from Monsters, Inc.
Two fun Harajuku girls wearing matching outfits inspired by the characters Sulley & Mike from Monsters, Inc.